What interesting times we are living in right now. Firstly, Thursday’s EU Referendum returned a narrow victory for leaving the EU (Leave 52%, Remain 48%). Secondly, at this time of writing, we have seen two high profile resignations. One being the Prime Minister, David Cameron, and England manager Roy Hodgson (for his unexpected result in the bagging area). Though Brexit seems inevitable, Cameron has left the job of confirming this to his successor. 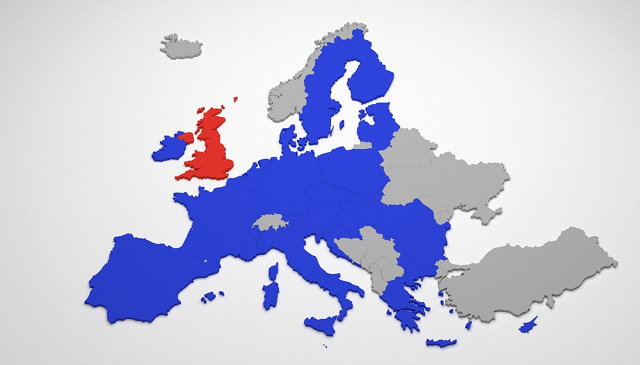 So for now, Britain is an EU Member State. Furthermore, a referendum isn’t as legally binding as a General Election, so the results could be void. If Article 50 is signed, our Brexit is confirmed, leading to Britain’s departure from the European Union. This could see fundamental changes for our industry’s skills base and emerging talent, and a smaller potential market. Would our SEO methods be changed beyond recognition? What effect would this have on imports and exports for gadgets or servers? Amid the upheaval, our use of social media is likely to see little change. Social networking sites transcend borders at the point of use. How we use Twitter, Facebook, Instagram, Snapchat or Google Plus will never change. There will still be scope for localised advertising packages on Google and social networking sites. Post-Brexit, local SEO will come into its own. With the possibility of Scottish independence and the reunification of Ireland (subject to future referenda), expect to see greater use of British nations as regional identifiers. Instead of (or in addition to as of now) using UK, England, Scotland, Wales, and Ireland could see greater popularity as regional identifiers. Should Britain leave the EU, Google could penalise British websites for using the .eu domain. The Cookies Statement seen on many websites (sanctioned by the European Union) will no longer apply. The SEO industry attracts a great many skilled workers. Brexit could have an effect on skilled EU Nationals wishing to live and work in the UK. Though the ERASMUS scheme will remain (this also covers non-EU countries), being able to settle in Britain after study may be problematic. Firstly, the government’s earning threshold of £23,000 per annum could see students having to leave the UK after graduation – unless they find a job earning above that figure. This would have implications on international students doing internships and finding work, as well as visa costs. Where the search engine optimisation industry differs from many others is in its product. Your client is an email or telephone contact away, whether in Lyon or London. There are no export charges for optimising or creating websites. Changes in the stock markets between the Pound, Euro, and the Dollar, will affect prices as of now. At this moment, Britain has a buoyant SEO industry, many of which concentrated in the UK’s urban areas. Though SEO services and associated products can be sold across boundaries and states, Brexit could affect the location of businesses’ offices. Dublin instead of Dunstable could be more attractive due to the Republic of Ireland’s EU membership and low corporation tax rates. Well before the EU Referendum, Google have chosen Dublin for the latter benefits. At the sharp end of Britain’s referendum fallout are people aged 40 and under. Many of which are paying off tuition fees and are likely to work in creative industries. Brexit could lead to a loss of goodwill with European clients, especially for freelancers as well as the sales departments of SEO agencies. In the last week, Brexit and EU Referendum have been among Google’s most searched terms. As stated in Google Trends, there has been interest beyond Britain with searches from Commonwealth countries and Spain the strongest performers. The state of the Euro, Pound, and House Prices are among the Top Five searches, when followed by the search phrase “How will Brexit affect…”. This is followed by immigration and the Stock Market. It’s all up in the air at the moment with arguments and raised voices aplenty. In the long term, the UK would be unattractive for international students wishing to study with the loss of free movement. On the other hand, it will disrupt business travel (for example, with visas required for SEO conferences in all of mainland Europe). With banks threatening to move to Dublin or Frankfurt, could IT businesses set up there instead of Manchester, Cambridge, Oxford or London? Though not exclusively a Brexit/SEO related issue, the lack of EU Structural Funding to boost public and private transport infrastructure would affect the success of startups and freelancers. If the talent pool dries up around our major centres, the IT industry wouldn’t only suffer. Our universities would too. For search engine optimisation, there will always be a need for local SEO services, no matter where we are in Europe. With tablets and smartphones replacing telephone books in many households, Google has become our equivalent to the Yellow Pages. Online shopping instead of High Street shopping continues to rise in popularity; therefore, a web presence and a cost-effective SEO campaign is important. Brexit or otherwise, localised SEO is as important as ever. With Britain leaning towards the former (subject to the signing of Article 50), even more so. With good grace whilst looking outwards to cyberspace.